Research focused on reproductive success of Walleye in the Tamarac River, a tributary to Upper Red Lake in northern Minnesota. Phillip grew up in Duluth, MN, enjoying many of the lakes Minnesota has to offer. He started hunting and fishing from a young age, and it was from those experiences a career in natural resources management blossomed. He enjoys fishing and hunting with his family and friends, and wants to help protect our resources for future generations. His main interest in school was fisheries management, but also studying aquatic ecosystems as a whole. His main focus with RMB labs includes conducting aquatic plant surveys, along with various lake and stream sampling. Although starting in late June 2018, Phillip conducted over 30 vegetation surveys and sampled over 40 lakes. 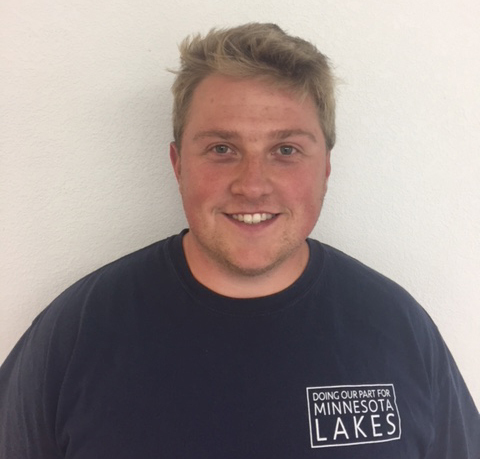 Phillip has also assisted on projects such as AIS risk assessment reports, and a shoreline inventory report, demonstrating land use in an area chain of lakes.